New Year celebrations took place around the world this week. 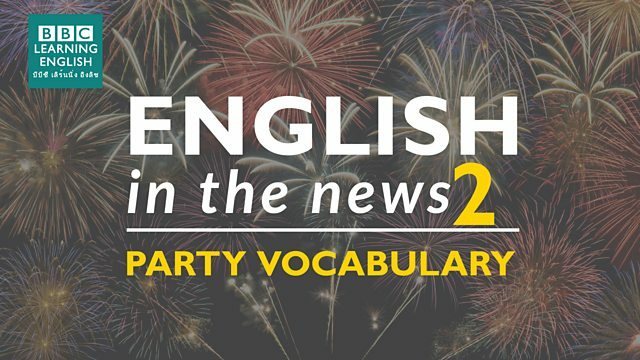 Join Sian and Clare to find out more about this news story and to learn useful phrasal verbs and words relating to parties. Spectacular firework displays in London and around the world have brought in the new year. In Edinburgh thousands of people are attending the Hogmanay celebrations, one of the world's biggest street parties. In London, crowds have lined the banks of the River Thames to watch the fireworks and celebrate. You need a verb which means 'take part/watch an event or activity'. Hundreds of people ______ to watch the fireworks on the River Thames. how do revellers celebrate? Noisily or quietly? You need an informal word for 'party'. I’m thinking of having a big ______ for our 25th wedding anniversary.